Where Are All The Bugs? This weekend we took a road trip, not a really long one just up to the north of the state to visit a festival. It was fun so we stayed late and drove back in the dark. A lot of it is on smaller country roads. We had been going for a couple hours before it hit me. There was not one bug splat on the window. There were no bugs being caught in the headlights as they zoomed past. Then I realized that I had not had to clean bugs off the windshield at all this year! Where have all the bugs gone? This is really bad. If we loose all the bugs then we are really going to be in trouble. No bugs, no pollination no food. We might not like bugs, we might think they are creepy and unpleasant but we need them, without bugs there will be no food. There is a lot of fuss going on about the reduction in bee colonies and how the bees are dying. This is certainly true, but its not just the bees that are dying its lots of different insects. I have certainly noticed a vast reduction in the number of insects on our farm this past year. Where plants used to be covered in pollinating insects there are few if any around. Certainly bees are important but bees don’t pollinate all flowers. Take a look around almost any garden and you will see that different insects visit different flowers. 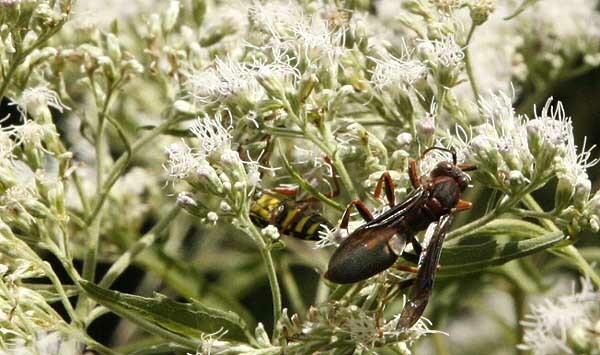 Most plants with umbel like flowers , that means flat open flowers like Dill (Anethum graveolens), Fennel (Foeniculum vulgare), Yarrow (Achillea millefolium), Queen Annes Lace (Daucus carota), and a multitude of other plants don’t attract bees. I have never seen a bee on our Yarrow, Fennel or Dill, not on the Chervil (Anthriscus cerefolium) or Cilantro (Coriandrum sativum) either. I have seen a multitude of other kinds of insects all over them. So if we loose those insects then we don’t have any more of any of these plants because there will be so seed to perpetuate them. 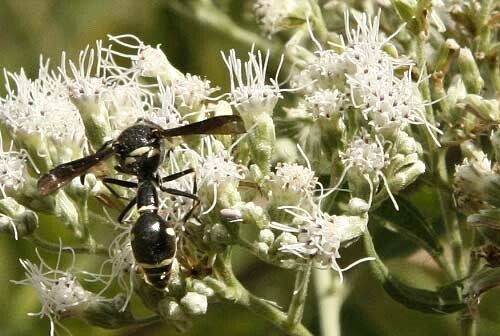 The same is true of many plants, rarely do I see bees on our holly bushes, or the euphorbia’s, euonymus or boneset (Eupatorium perfoliatum) but there are usually dozens of other plants. We also really have no understanding of the life of these chemicals and how they affect other systems. Something may have been manufactured to kill a flying insect or specific pest but what happens when it hits the ground. How do the soil insects and microbiota (all the tiny tings that live in the soil) fair. It has been well documented that Glyphosate (Roundup) will kill everything in the soil basically making it sterile and thus fairly useless to plants, what I wonder are all these other chemicals doing. It might not seem like a big deal, many insects eat a lot of stuff that we don’t want, they are our garbage disposal. They eat the dead leaves, animal carcasses and just about anything organic around the world. If there were no insects, bacteria and fungi then nothing would decay and we would be drowning in garbage and smelly waste. We need all these animals even if we think they are creepy crawlies without them our world would not survive, and we would die quite quickly. We may not realize they are there but without them our life would really not exist. So we need to stop the chemical spraying our ancestors got along fine in agriculture without tones of toxic chemicals so can we. Please do your part, don’t spray unless you have to and support campaigns to ban toxic chemical. Make this world a better place of us, our children and grandchildren. Author Janice Hazeldine PhDPosted on September 19, 2016 September 14, 2016 Categories happeningsTags bugs, loss of bugs, pollination, pollinators, save the bees, save the bugsLeave a comment on Where Are All The Bugs?